Here you can find samples of my works – either by checking out the most recent outlets I have written for or by going through a selection of my work in chronological order. Since October 2013, I have been a Berlin-based freelance correspondent for The Christian Science Monitor, an independent international news organization based in Boston, Massachusetts. 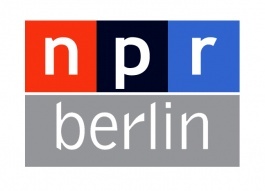 In the Spring of 2014, as part of my Fulbright grant, I co-reported an hour-long special for Berlin Stories for NPR, a multimedia journal about the city broadcast on NPR Worldwide (104.1FM Berlin). In 2013, I served as a guest journalist at the English-language desk of Deutsche-Presse Agentur (dpa), Germany’s international press agency. I traveled throughout Germany to write about topics ranging from the ongoing quest to recover stolen Nazi art to how the minimum wage affects small business. While at the Berlin bureau, I researched and edited articles from the English service, and translated stories from the German service. In 2012, I was an Arthur F. Burns Fellow at Spiegel Online in Berlin, producing original feature stories for both the German and international editions of Germany’s largest online news source. The topics ranged Berlin’s ever-growing start-up scene to the rise of right-wing extremism in northeast Germany.